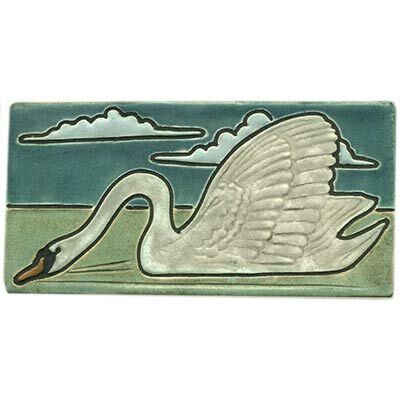 This Swan tile measures 4" high by 8" wide. The surface is fairly flat, with some subtle detailing in the feathers. In the multi-color option, we apply black grout to the tile that fills in lines around the swan. Or choose from any single color.